Alaska's issues with its mental health services are by no means secret. A host of news articles and opinion columns have appeared on the Daily News' pages during the past several years, exploring a lack of capacity to care for Alaskans with mental health challenges and issues at existing facilities. State inquiries and studies have itemized the problems and issued recommendations to fix them. But the state's mental health services deficit persists — and it's contributing to many of the other problems affecting Alaska communities. The resignation Friday of the director of the Alaska Psychiatric Institute and other high-level state health executives in the wake of a scathing report about API serves to further underscore the seriousness of the issue. Mental health challenges contribute to nearly all of the state's most pernicious issues. A substantial share of Alaska's homeless population has unmet mental health needs. Difficulties in holding down stable jobs lead some with untreated mental health issues to commit crimes; others' issues leave them vulnerable to being preyed upon by criminals themselves. As a result, systems not meant to deal with such issues directly on such a broad scale are being strained: Homeless shelters, first-responders, law enforcement, the court system, emergency rooms and prisons. More than 4.15 percent of Alaskans — 30,000 total, or roughly one out of every 25 residents — suffers from a serious mental illness, according to the federal Substance Abuse and Mental Health Services Administration. Those Alaskans are among the most vulnerable members of our communities. Expanding the definition to any mental illness, almost 19 percent of Alaskans ages 18 and older experienced mental illness in the past year. That's close to one in five. If the importance of robust, effective mental health services in Alaska isn't yet apparent to you given those numbers, it should be. The state budget crisis has exacerbated Alaska's issues, as legislators have looked for places to cut back spending for three straight years. More state funds to expand facilities that would help address unmet mental health needs have not been forthcoming, and the budget discussion has also had the deleterious effect of consuming time and energy that might otherwise have been spent helping craft legislative solutions to problems the state has identified with its existing facilities. Even though there remains a $700 million budget shortfall as next year's legislative session draws near, legislators must learn, in a manner of speaking, to walk and chew gum at the same time. The problems and capacity issues with Alaska's mental health services can't wait another year to be addressed while lawmakers bicker about how to achieve a balanced budget. At the municipal level, faith in state government's ability and willingness to solve the issue is low. "We can't wait on the state to get its act together," Mayor Ethan Berkowitz said in a meeting with the ADN editorial board this summer. The municipality's plans for addressing community mental health needs have yet to take shape, but the mayor is wise in seeking solutions to augment any state action — or at least to help mitigate the problem in the face of state inaction. But the will to act at a local level doesn't relieve the state of its responsibility to improve mental health services statewide. The state has greater authority and resources to deal with the problem, and any community solutions developed in Anchorage at a municipal level won't address the needs of communities beyond Southcentral. Unmet mental health needs in Alaska are endangering health workers and community members. They are increasing costs for emergency services ill-equipped to handle them. And they leave thousands of Alaskans suffering from serious mental illness vulnerable due to inadequate capacity. 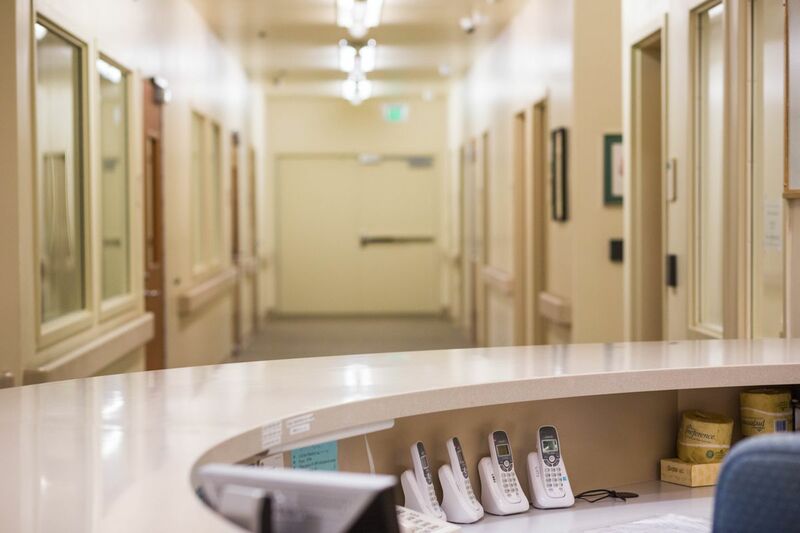 The state must take immediate action to make sure its existing facilities are serving Alaskans well, and it's time for legislators to take a hard look at how mental health services can be improved and expanded. Little progress can be made in dealing with the state's other social problems unless more robust mental health services are part of the solution.